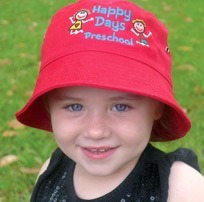 Preschool and School hats are easy to order, look fabulous and will be delivered to you in just 4 weeks. 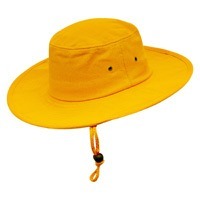 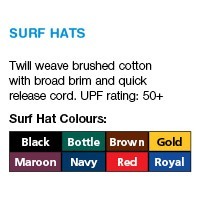 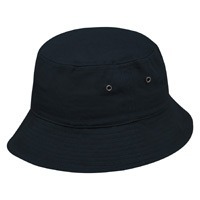 You just select either Bucket, Surf or Legionnaire Hats and order a minimum of 15 hats in any one colour. 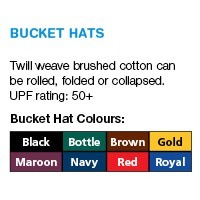 Then email the order form to us and we will email you a proof to check. 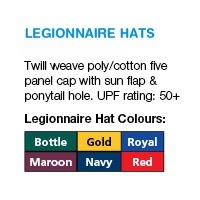 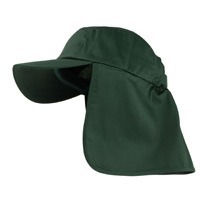 Price includes embroidered hats, setup, delivery & GST (there are no additional costs).